Cherise started in this career 21 years ago, and has been at Mt. Olivet for 11 of those years working in the role of Funeral Director and as a Family Service Advisor. She is licensed by the State of Colorado as an insurance provider. 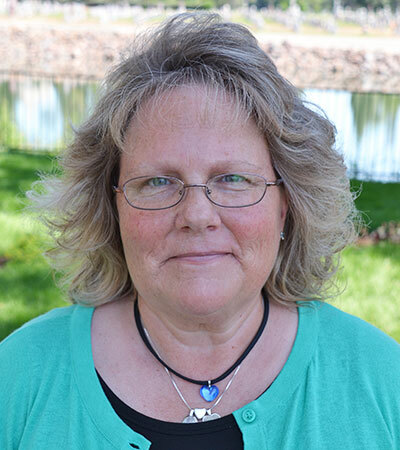 She is also a Certified Funeral Director with the Colorado Funeral Directors Association. She enjoys helping families to pre-plan their final funeral and cemetery wishes. Cherise has been married to her husband Kevin for 31 years and has 2 sons Bryan and Craig. Cherise enjoys being a member of St. Joan of Arc Catholic Church. In her free time she enjoys collecting Raggedy Ann’s and ladybugs, gardening, painting, crocheting and other types of needlework.